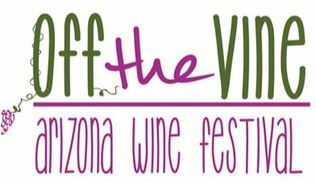 Join the Arizona wine industry at the Historic Steam Pump Ranch for the 6th Annual Off the Vine Arizona Wine Festival. Enjoy some of Arizona's finest wines and interact with the winemakers. The event will feature exclusive tastings from 26of Arizona's finest wineries, live local music, food and great vendors. The centerpiece being the Historic Steam Pump Ranch's 1800's Ranch House! Buy your tickets prior to the event to save $10, and don’t miss your chance to taste and take-home Arizona's excellent wines! Price of admission includes a commemorative glass and 8 wine tasting tickets.